With new domain extensions being released on a daily basis, web real estate continues to grow at a rapid pace. The risk of domain infringers threatening your businesses revenue and reputation is clearly an everyday reality. Malicious domain use including cybersquatting, typosquatting and brandjacking costs trademark owners more than $1 billion each year due to lost sales, lost goodwill, and increased enforcement costs. Our Domain Name Attorneys represent domain name registrants, trademark owners, and victims of fraudulent domain name transfers worldwide. From cybersquatting to typosquatting and fraudulent domain name transfers, our domain name attorneys understand the value of a domain name and know the arbitration and litigation systems necessary to both enforce and defend the rights of businesses and individuals online. 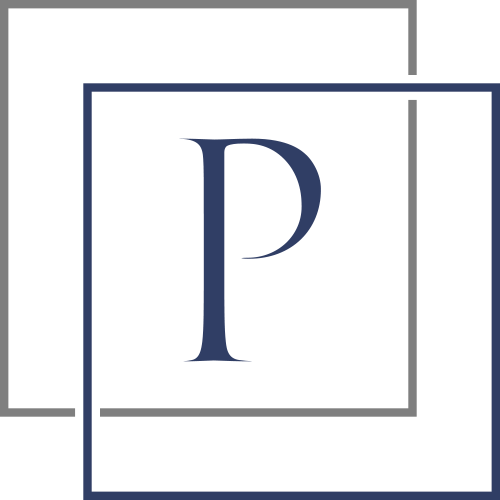 The domain name attorneys at Panakos Law, APC assist both businesses and individuals in protecting domain names, enforcing trademarks, copyrights, and intellectual property and defend against any attack on one of your biggest online assets - your company's domain name portfolio. Book an initial consultation with a domain name attorney or learn more below about different types of domain name disputes that may apply to you. Our domain name attorneys also offer trademark risk assessment, "clearance letters" and domain due diligence services if you are considering registering or acquiring a new domain name for your business. Cybersquatting is generally the registration of another's trademark in a domain name done in bad-faith. According to the US federal law known as the Anticybersquatting Consumer Protection Act, Cybersquatting (also known as domain squatting), is registering, trafficking in, or using an Internet domain name with bad faith intent to profit from the goodwill of a trademark belonging to someone else. The cybersquatter then offers to sell the domain to the person or company who owns a trademark contained within the name at an inflated price. Cybersquatters typically have no actual use for domain names, except to resell them at a profit. Businesses are constantly frustrated to learn that a domain name relating to their business name or trademarks have already been registered and is owned by a cybersquatter, with no actual clear use of the domain other than a parking page or similar. The ACPA is a U.S. law enacted in 1999 that established a cause of action for registering, trafficking in, or using a domain name confusingly similar to, or dilutive of, a trademark or personal name. The law was designed to thwart “cybersquatters” who register Internet domain names containing trademarks with no intention of creating a legitimate web site, but instead plan to sell the domain name to the trademark owner or a third party. 3) The infringer had a bad faith intent to profit from that mark. The Uniform Domain-Name Dispute-Resolution Policy (UDRP) is a process established by the Internet Corporation for Assigned Names and Numbers (ICANN) for the resolution of disputes regarding the registration of internet domain names. The UDRP currently applies to all generic top level domains some country code top-level domains, and some legacy top level domains (.com, .net, .org, etc.) in specific circumstances. Under the UDRP, trademark holders can file a case at the World Intellectual Property Organization (WIPO) for cybersquatting, typosquatting, and other domain name disputes. For those matters involving an existing trademark, the complainant has to show that the registered domain name is identical or confusingly similar to their trademark, that the registrant has no legitimate interest in the domain name, and that the domain name is being used in bad faith. Reverse cybersquatting occurs when a trademark holder attempts to acquire a domain name from another party that has lawfully registered the domain name at an earlier point in time. An example would be if a business named "Nautical Fluorescent Lights" registered and owned the domain name "NFL.com" for use as a webiste address to sell lightbulbs and the National Football League attempted to sue the business for trademark infringement with the intent to acquire the domain name (it is the "NFL" obviously). This would be a form of reverse cybersquatting as the business selling nautical lights had nothing to do with football and the National Football League's trademarks were not being infringed upon. The National Football League could offer to buy the domain name, but likely could not recover it in a lawsuit or arbitration proceeding. A second-level domain (SLD) on the Internet is the name or text directly to the left of a top-level domain (TLD). For example, the website www.mywebsite.com the “.com” is the top-level domain (TLD) and “mywebsite” is the second- level domain, because it specifies which .com website to actually visit. A form of cybersquatting, SLD disputes are a form of intellectual property infringement. If somewhere were to register a domain name such as “MicrosoftSucks.com” (just an example!) Microsoft®, which is a registered trademark, may have a claim for the improper use of its mark without its consent. Similar to second-level domain names (SLD), a subdomain dispute refers to the use of a mark in the very first portion of the domain, to the left of the SLD. For example, if a website used the URL "microsoft.mywebsite.com" (again, just an example) Microsoft® would likely have a claim against mywebsite for use of its name and registered mark without the right to do so. Another form of cybersquatting is Typosquatting or "Brandjacking", also called URL Hijacking or a Fake URL. A typosquatter is someone who registers domain names with common typos of major domain names to attempt to divert traffic to sites that benefit the registrant. These forms of cybersquatting rely on typing mistakes such as typos made by Internet searchers when inputting a website address into a web browser. Should a user accidentally enter an incorrect website address, they may be led to any URL, including an alternative website or fishing website owned by a cybersquatter. Once a website visitor arrives on the typosquatter's site, the user may be duped into thinking that they are actually on the website they were looking for, through the use of copied or similar website layouts, content, images, and even logos. Spam emails systems have historically make use of typosquatting URLs to trick users into visiting potentially malicious sites that look like a legitimate company's website. For example, “microsotf.com” was created to take advantage of people who intended to visit the Microsoft® website, but misspelled the domain name when typing into their browser. This practice, also known as “URL hijacking or hacking” takes advantage of the legitimate name of the domain name owner in order to send visitors somewhere else unintended. Domain name warehousing is the practice of registrars obtaining control of expired domain names already under their management, with the intent to hold or “warehouse” names for their own use and/or profit. By preventing certain domains from being released, the registrar intends to resell the domains to the previous registrant or a new registrant at a higher rate than the market price. The registrant allows the domain name to lapse, but registrar fails to delete the domain name during the grace period, resulting in a paid renewal to the registry. The registrar subsequently assumes registration of the domain name. The registrant purchases the domain name through fraud and the registrar assumes registration of the name to resell in order to minimize losses. The registrar registers the domain in its own name outright. Also known as domain name “kiting” or “tasting,” this practice occurs when a registrant registers a domain name for a temporary purpose, but then takes advantage of the domain purchase grace period to reject more permanent ownership. Contact us to learn more about your options or to pursue domain name lost to a grace period violation. In certain circumstances the rightful ownership of a domain name may be in dispute. There are plenty of reasons a domain name may be registered to a company or individual that is not the rightful owner. Disputed domain ownership can be resolved through a host of legal mechanisms and our domain name attorneys can assist with assessing different options that may be available and pursuing a resolution.